On 11 August 2017, James Calder will join fellow panellists Monika Branigan, Ali McShane and Tim Giles and moderator Sophia Watson to speak at Sydney Indesign’s WorkLife seminar ‘Kitsch, Please: How our industry can disrupt and experiment without getting naff’. Today, our workplaces are diverse hubs of design politics. Everything from agility to ABW to cubicles and change management carries enormous political clout. There is, however, a growing trend in this space to investigate the truly unique working models and design solutions which govern extreme workplaces. Whether in outer space, the deep sea, on the road or in the sky, how has design-thinking and engineering innovations in the commercial sector embraced its inner-weird? 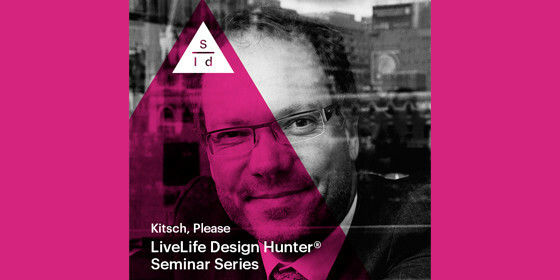 To find out more about the seminar and to purchase a ticket visit the Sydney Indesign ‘Kitsch, Please’ site.